The use of spa pools and hot tubs is growing rapidly as their popularity increases both in commercial and domestic environments. However, it’s important to remember that poorly managed spas can create significant risks to the health and safety of those people using and operating them. In recognition of this, the UK’s Health & Safety Executive (HSE) has recently updated their guidance for controlling legionella in spa pools that includes useful guidance covering their management and operation. The guide is called HSG282 Control of legionella and other infectious agents in spa-pool systems. Spa pools and hot tubs are now widely recognised as a potential source of several different diseases including Legionnaires’ disease. They are caused by infectious bugs that contaminate and then grow in the heavily oxygenated, warm waters found in such pools. There have been a number of outbreaks of Legionnaires’ disease linked to spa pools in leisure centres, hotels, holiday homes, on cruise ships and on display. The HSE’s latest version of HSG282 deals with the control of legionella in spa pools and hot tubs.The guide has been written mainly for those people and organisations that manage or operate spa pools. The guide explains how to manage and control the risks from legionella and other infectious bugs that may contaminate the pool water and circulation systems. It also helps those involved in the maintenance, design; manufacture, import; supply and installation of spa pools meet their legal responsibilities. 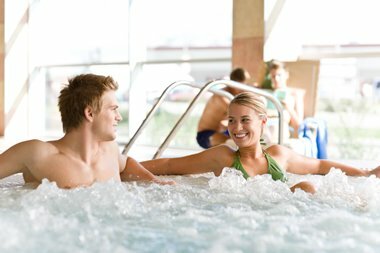 In addition to the advice on how to operate and maintain spas in commercial settings, the updated guide also gives advice on the management of spa pools and hot tubs used in a typical business setting, including those in holiday parks, hotels, and where spas are used in shops on display or at exhibitions.